Who won the ratings race, Fox News or Donald Trump? Who won the ratings race: Fox News or Donald Trump? Donald Trump's counter-programming stunt succeeded in stealing viewers from Fox News' Republican presidential debate. 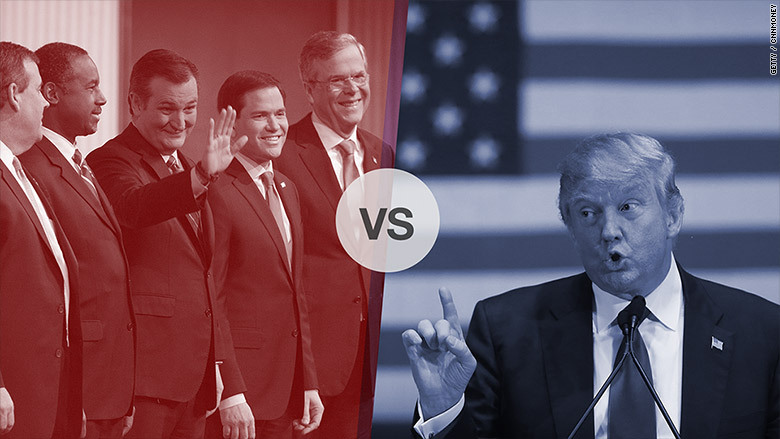 Thursday night marked the second lowest rated GOP debate of the season. And Trump was the most-talked-about candidate without even being there. Trump, who had refused to attend the debate, showed off his ratings magnetism by depriving Fox of it. But Trump's rivals, like Ted Cruz and Marco Rubio, still reached a big audience by debating, which suggests that there are some limits to Trump's power. Fox's Trump-less debate had 12.5 million viewers between 9 and 11 p.m., according to Nielsen. By comparison, two of the cable channels that showed parts of Trump's fundraising event, CNN and MSNBC, had about 2.7 million viewers combined. A plethora of smaller outlets also televised and streamed Trump, but no further viewership data is available. Practically speaking, there is no way Trump's event could have out-rated the debate. But ratings experts said Trump did appear to take a chunk out of Fox's audience. Fox averaged a record-smashing 25 million viewers last August during the first Trump-fueled debate of the season. Trump clashed with moderator Megyn Kelly that time -- and avoided a rematch by skipping Thursday's debate. No one in the TV news business expected Fox to surpass the 25 million mark this time. In spite of that, Trump tweeted on Friday afternoon, "They say that if I participated in last night's Fox debate, they would have had 12 million more & would have broken the all time record." Trump's bluster aside, Thursday's totals did seem somewhat disappointing for the channel. This was a high-stakes debate just a few days before the Iowa caucuses. And there was incessant "will he or won't he debate?" coverage for days leading up to the main event, which should have given Fox a lift. Then again, from Fox's perspective, Trump's competing event should have lifted CNN and MSNBC more than it did. On Friday, Fox touted the fact that Thursday's debate was higher-rated than the one it televised two weeks ago on its sister channel Fox Business Network. That had 11 million viewers with Trump at center stage. News sites that are critical of Trump framed the result this way: "Trump skips debate, ratings rise." But Fox Business is harder to find on the cable dial and typically much-lower-rated than Fox News. 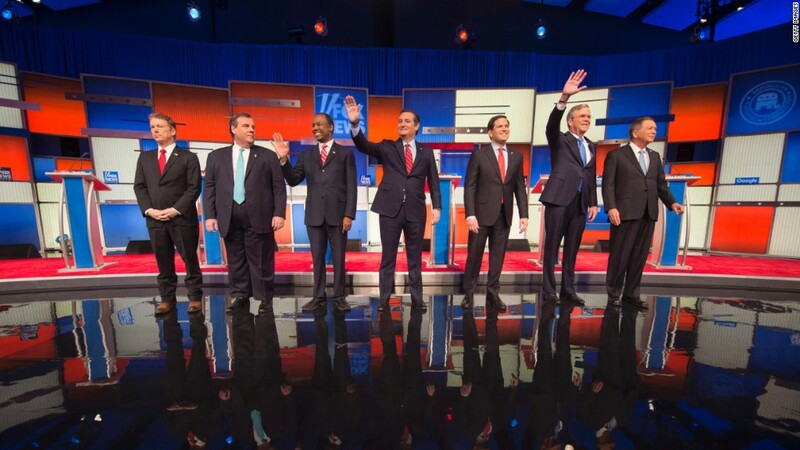 The other five GOP debates of the primary cycle have ranged from 13.5 million to 25 million viewers. Perhaps a more fair comparison to Thursday night's debate is CNN's December 15 face-off, which had 18 million viewers. CNN and Fox News are on a relatively even playing field in terms of reach into cable homes. And Thursday's debate didn't come close to matching December's totals. That's one of the reasons why Trump can claim victory. One thing is ultimately unknowable: How many more viewers would have watched if Trump had been there? Fox News also live-streamed the debate; no streaming data has been released by the network. Heading into Thursday night, Trump knew that his decision to forgo the debate was a test of his ratings magnetism. "Maybe Fox was gonna have a 20 or 25 million person debate, but without Mr. Trump's participation, I think they might have a one to two million person debate," Trump campaign manager Corey Lewandowski said earlier in the week. It turns out the overstated Trump's impact on Fox. Fox's ratings held pretty steady between 9 p.m. and 11 p.m. ET -- which means the audience was loyal even though Trump was absent. CNN averaged 1.7 million viewers during those two hours and MSNBC averaged 1 million. If the debate did not draw as many viewers as Fox promised advertisers it would, the channel may have to give them extra ads for free later. These are known as "make-goods" in the TV industry. But on Thursday a Fox executive told the Wall Street Journal that he was not expecting that to happen. Some viewers were likely watching the debate on the big screen while keeping an eye on Trump's event via their smart phones. It is impossible to measure the total reach for Trump's event, since coverage was spread across multiple TV channels, web streams and social networks. It was shown in full on C-SPAN, but that channel is not rated. Viewership totals for streaming sites are not generally reported. On the web, there were indications that Trump dominated political conversations even without being present at the debate. Twitter said 36% of #GOPDebate candidate mentions were about Trump, way ahead of Ted Cruz's 16% and Marco Rubio's 13%. On the other hand, according to Google, "debate live stream" beat out searches for "Trump live stream" by 170% on Thursday night.